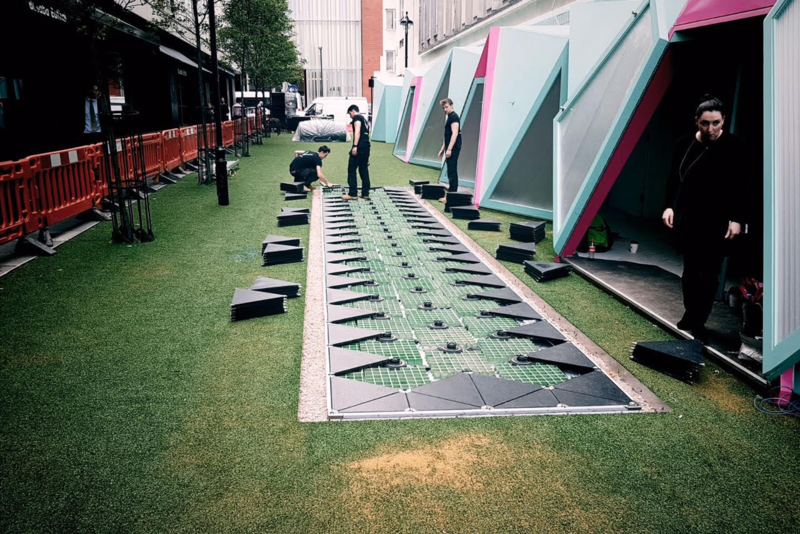 New West End Company launched a scheme to transform Bird Street in London into the world's first sustainable 'smart street'. Combining technology, a focus on sustainability and emerging new brands, the pilot project hopes to bring something new to Bird Street, adjacent to London's most famous shopping district, Oxford Street. 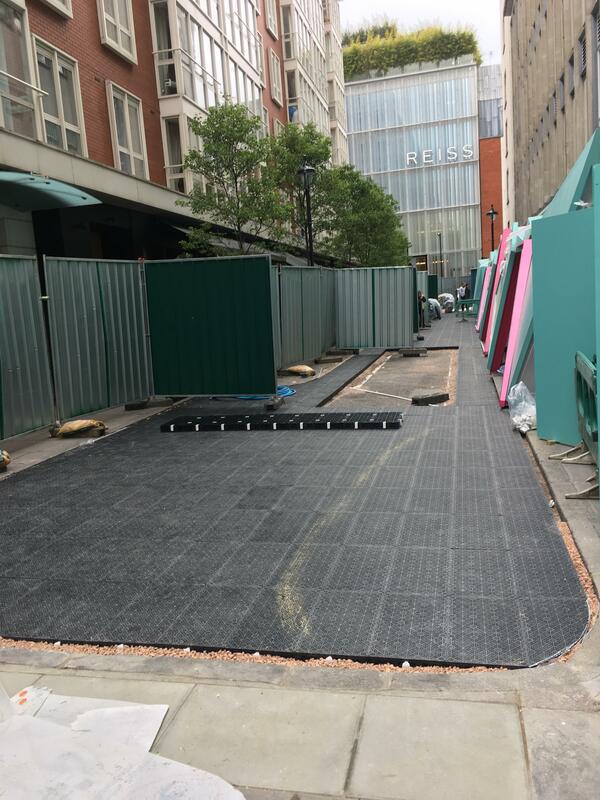 SELSports installed an innovative retrofit sustainable drainage system directly on to the existing road, with no excavation. The system used elements of our sports pitch systems and comprised a 20mm deep heavy duty sand dressed synthetic grass over a 5mm deep 800gsm underpad to minimize point loading and prevent penetration of the synthetic turf over a raft of 85mm SELSports lightweight drainage cells to drain water and prevent flooding over a regulating gravel layer on a protection geotextile. Specially designed ramps were fabricated to form a transition between the existing road level and the new smart street level. Rubber and steel details were installed at the edges off the synthetic turf to give a clean and neat finish. 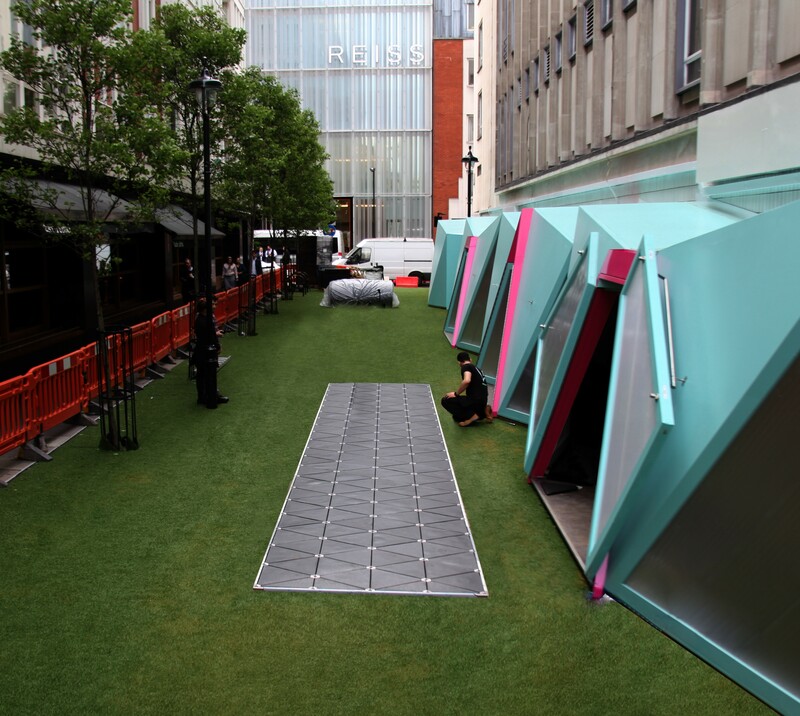 Other major features include the Pavegen system which uses pedestrian foot traffic to generate electricity to power the nearby street lighting, a 'clean air bench' which takes polluted air in, removes the harmful gasses and emits fresh air and a 'live' green wall which contains vertically planted vegetation that purifies the surrounding atmosphere.